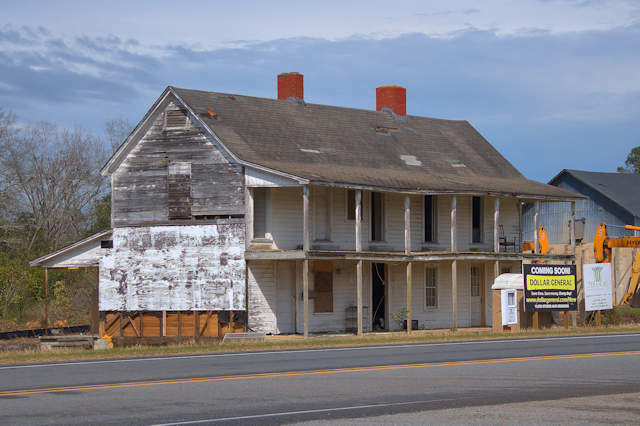 There’s just something unsettling about this picture of the Irwinville Hotel. 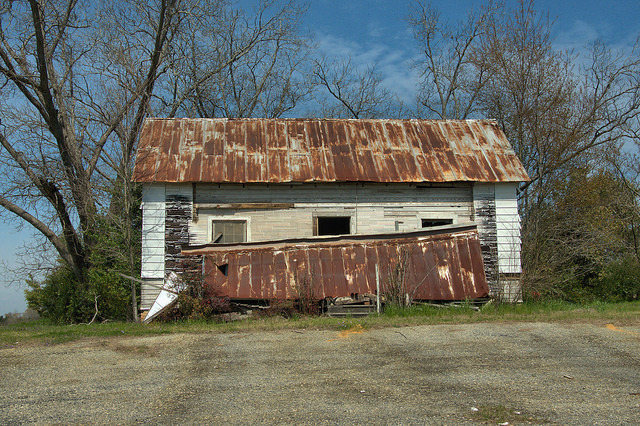 Many people have contacted me with complaints about the destruction of this mid-1880s landmark. The most common comments (and they’ve been numerous) have been: “Just what the world needs, another Dollar General” and “Dollar General is a plague on the landscape“. I tend to agree. While I agree that anyone has the right to sell their land to anyone whom they wish to, I’m amazed that the community couldn’t come together for a better solution. 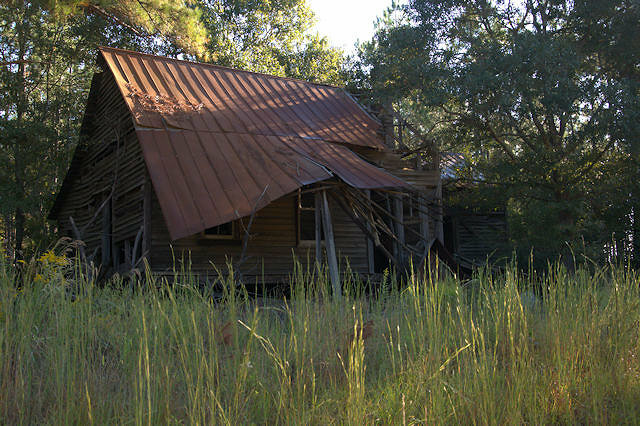 In the past few years, Irwinville lost their post office, can barely keep the capture site of Jefferson Davis open, and now, is losing this. All this while a local state representative and state senator made no overtures to do anything about it. I don’t believe it’s the government’s responsibility to “save” these places, but a little input would have been nice. While I’ve seen interior shots of the hotel posted on other sites, I was unable to get such images. 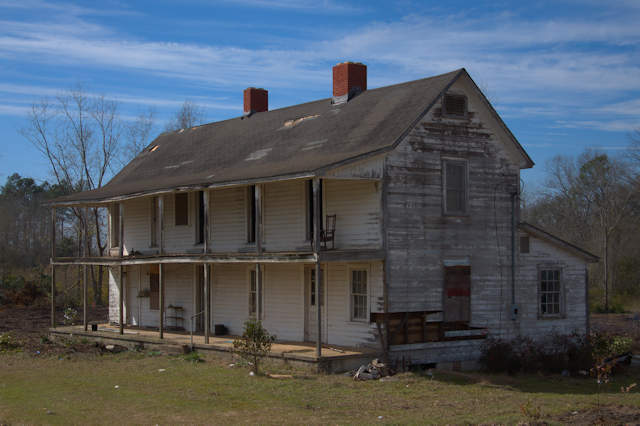 At any rate, the property has long been used as a residential rental and retained very little of its historic interior appearance. Progress is never a bad thing, as I’ve said numerous times over the past ten years. 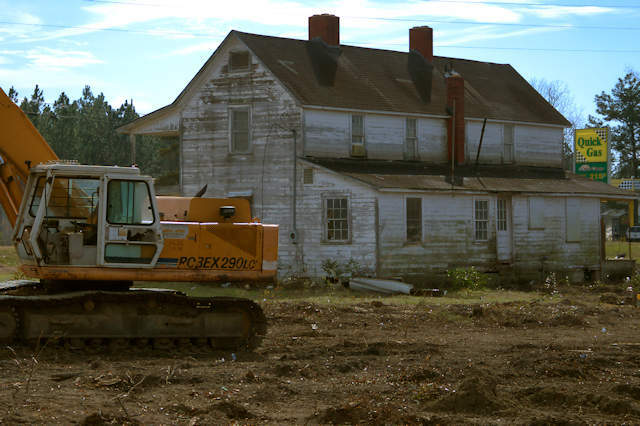 But the loss of landmarks in our smallest towns shouldn’t be a part of that progress. 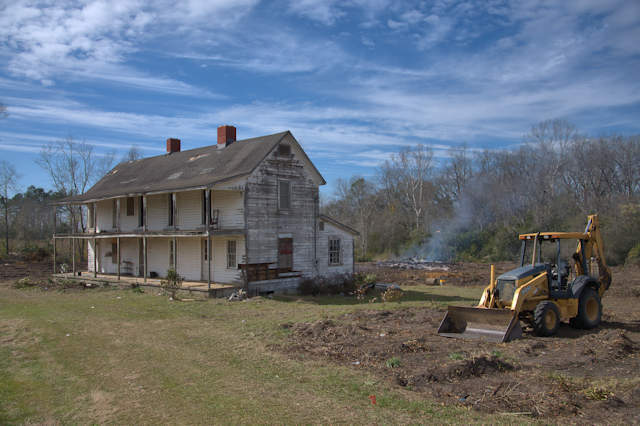 Built after the Civil War (likely 1870s) by 1st Lieutenant Reuben Walton Clements (1836-1899), this plantation house remains one of Irwinville’s most prominent landmarks. Clements was commissioned 1st Lieutenant of the Irwin Volunteers, Company F, 49th Regiment of Georgia Infantry on 4 March 1862 . Though he resigned on 30 July 1862 due to measles, he re-enlisted as a private in Company H, 4th Regiment of Georgia Cavalry (Clinch’s,) on 2 March 1863 . He surrendered at Tallahassee on 10 May 1865. [Ironically, this was the same day Confederate President Jefferson Davis was captured by Union troops on nearby property also owned by Clements. 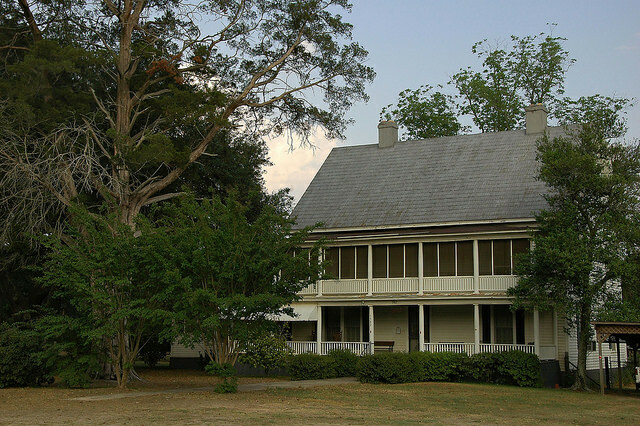 That property today is home to Jefferson Davis Historic Site] R. W. Clements’ son, James Bagley (Jim) Clements, resided here for many years. He was the author of History of Irwin County (Atlanta, Foote & Davies, 1932). Clements was a member of the Irwin County school board, an appointed and elected judge, and subsequently served in the Georgia Houses of Representatives and the Georgia State Senate. 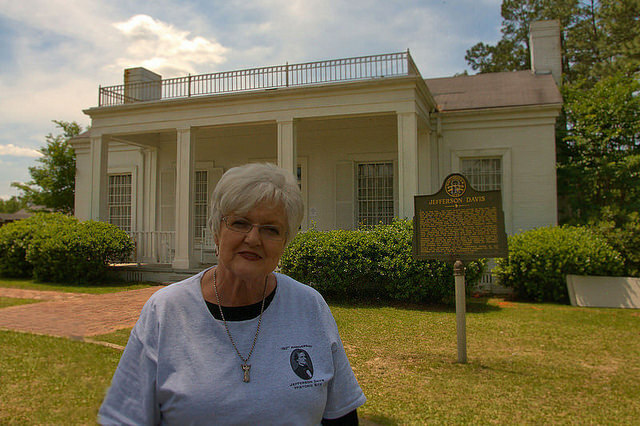 Jane Tucker Gentry has made it her personal mission to keep Jefferson Davis Historic Site alive and well. She’s been able to do this despite a general lack of interest by most local politicians. 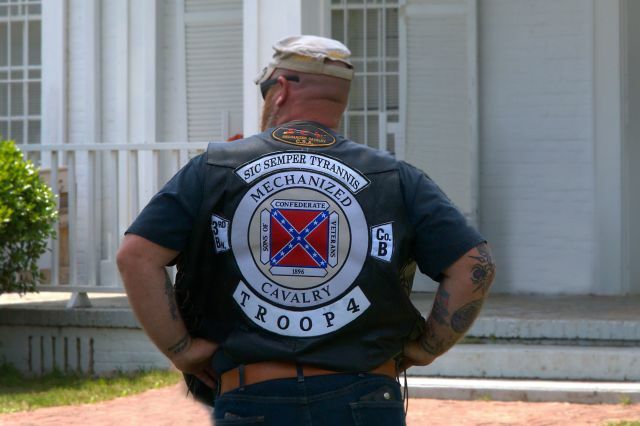 I caught up with her at the commemoration of the 150th anniversary of the capture of Jefferson Davis. 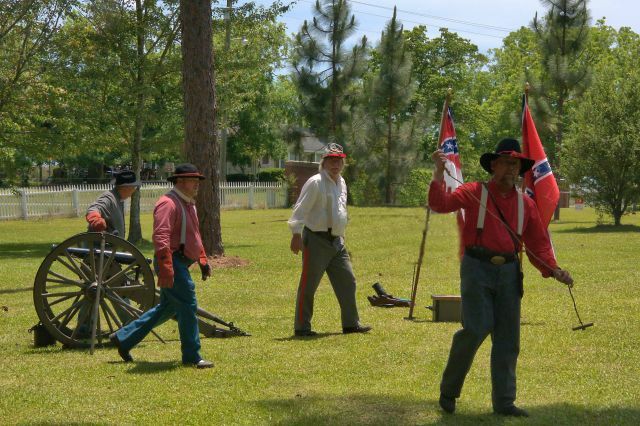 The festivities included a Chasing Jefferson Davis Marathon, day-long re-enactments, free tours of the museum, as well as local food and craft vendors. Jane even did most of the baking herself. The event was capped off by a late afternoon showing of Gone with the Wind on the museum grounds. Members of the local SCV encampment were on hand, as well as other supporters from all over Georgia. 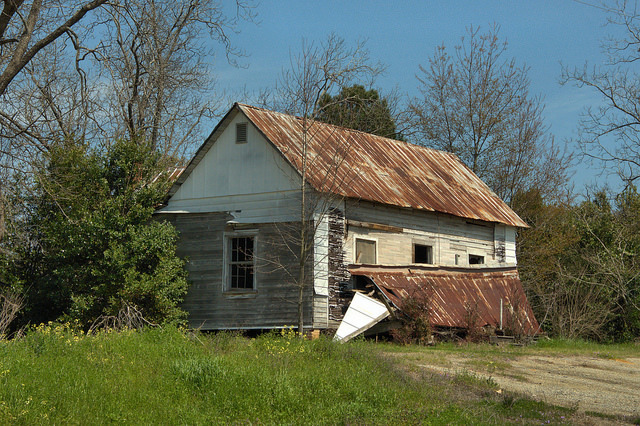 See the house as it looked when the porch roof was still intact. Thanks to Kevin Warren for the identification. 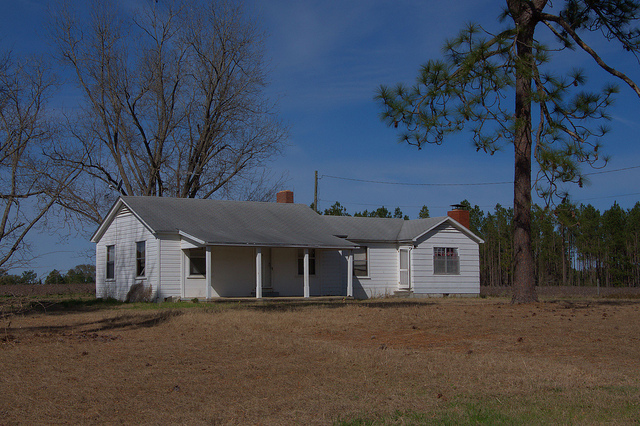 This was the home of Lawson & Irma Warren.